Whenever their friend Paul talked to Marshall and Judie Polk about his involvement with Tel Aviv University, his enthusiasm was obvious. And contagious. MARSHALL: "When we were in Israel, we visited TAU and saw first-hand the extraordinary scope of the work the university does, and how much it added to the city of Tel Aviv, to Israel and to the future of the planet. That convinced me that I wanted to be actively involved, both with the American Friends organization and with financial support as well." 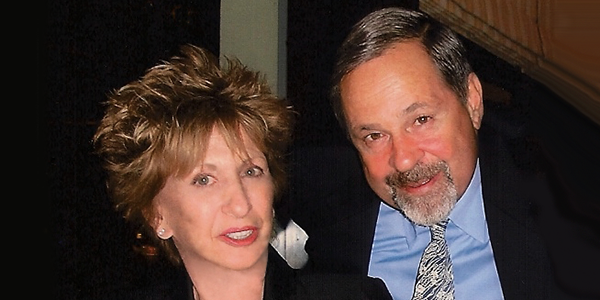 After exploring AFTAU's planned giving opportunities, Marshall and Judie decided on a Tel Aviv University Gift Annuity, which they established with a combination of cash and appreciated securities. The charitable income tax deduction and a favorable taxation rate on their annual annuity payments were two benefits that influenced their decision. MARSHALL: "We wanted a high fixed-rate lifetime income for the two of us, and for the one of us who survives the other, and the Tel Aviv University Gift Annuity that AFTAU offers is very competitive with other gift annuities. It's also important to us that as a result of our gift, the university will receive additional funds in the future." Marshall has since become part of AFTAU's leadership, serving on the Executive Council of the Board of Directors, and often engaging others by sharing his own very contagious enthusiasm about the university.